New Workshops for Spring 2011. The Painted Flower Gifts Collection uses a wide variety of techniques to create these stunning gifts. There are choices availabe for all levels of experience. Ranging from a short workshop to learn the technique of Painting the Flowers up to the full day Table Topper Quilt for the more experienced. 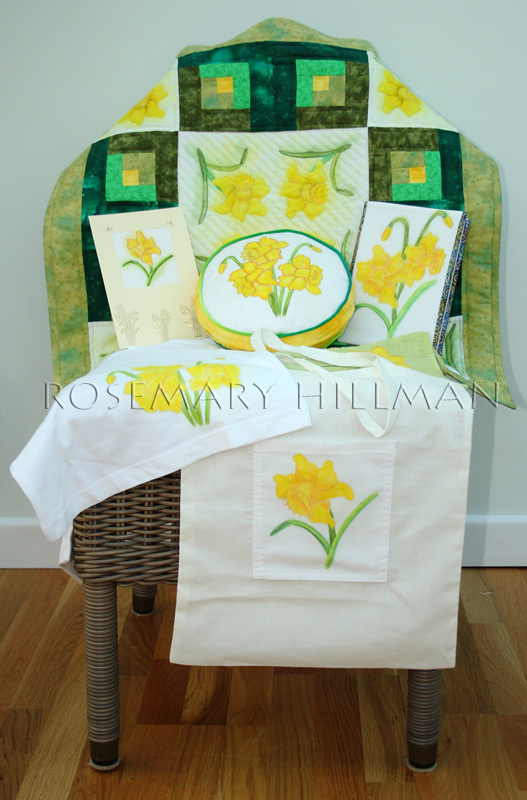 Techniques include; Card Making, Piping, Zip Insertion, Hand Quilting, Machine and Hand Piecing and several others. Other flower patterns are also available.